Visit SAstudy.co.za at Career Indaba 2012 at Stand 136 at the Sandton Convention Centre on 3 or 4 July and stand a chance to win one of two R1000 gift vouchers. We don’t want to spoil the surprise so you’ll have to come down to our stand to find out how to win. It’s super easy though! 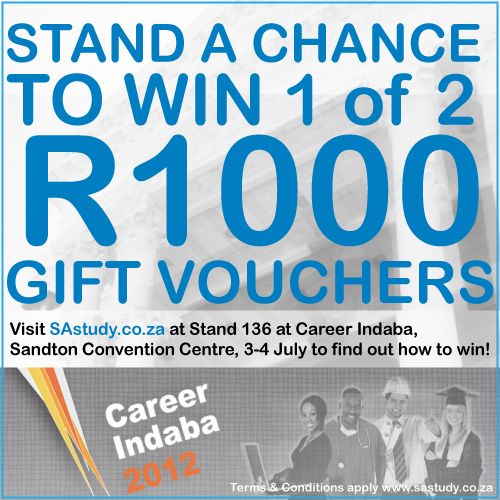 For more info or to register for Career Indaba 2012 check out their website.